Ní léir bunús an dara heilimint. 1185c 'Cluan Melsige' an tagairt is luaithe dó. The origin of the second element is not clear. 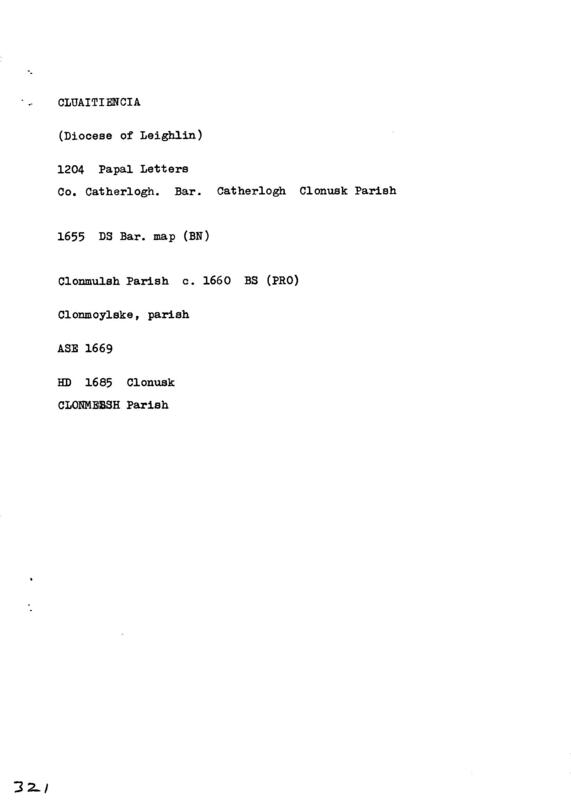 The earliest reference is in Irish, 1185c 'Cluan Melsige'.